There are only two weeks left to enter the Web Marketing Association’s Internet Advertising Competition (IAC) Awards. The deadline is January 31, 2018. That still gives you plenty of time to enter, because entering is easy. However, you know how busy you can get. So why wait. Submit your entry today and know that you and your company have a great chance to win recognition for your hard work. 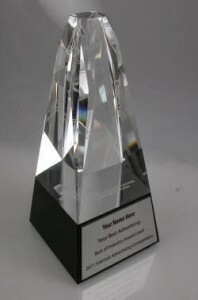 Winning an award is a great way to demonstrate to the world the effectiveness of your online advertising capabilities. It can benefit new business pitches, staff morale, budget justification and personal career advancement. This award will get you noticed, but only if you enter and now you only have two weeks so get cracking. If you are planning on attending the eTail West 2018 Conference, February 26 – March 1, 2018 at the JW Marriott in Palm Springs, CA, maybe we can help. When you register, use the promo code “ETW18WMA“ to get a 25% discount to the conference. If you were not planning on attending, maybe you should rethink that decision. 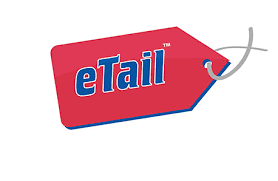 eTail, launched in 1999, is the premiere multi-channel retail conference dedicated to supporting the growth of the retail industry through high-level networking and extensive thought leadership. eTail West was launched as part of the eTail Conference series to speak to the unique challenges facing retailers looking to grow their brand in the market. Download the agenda to learn more. The Web Marketing Association is an proud association partner of the eTail Conferences.